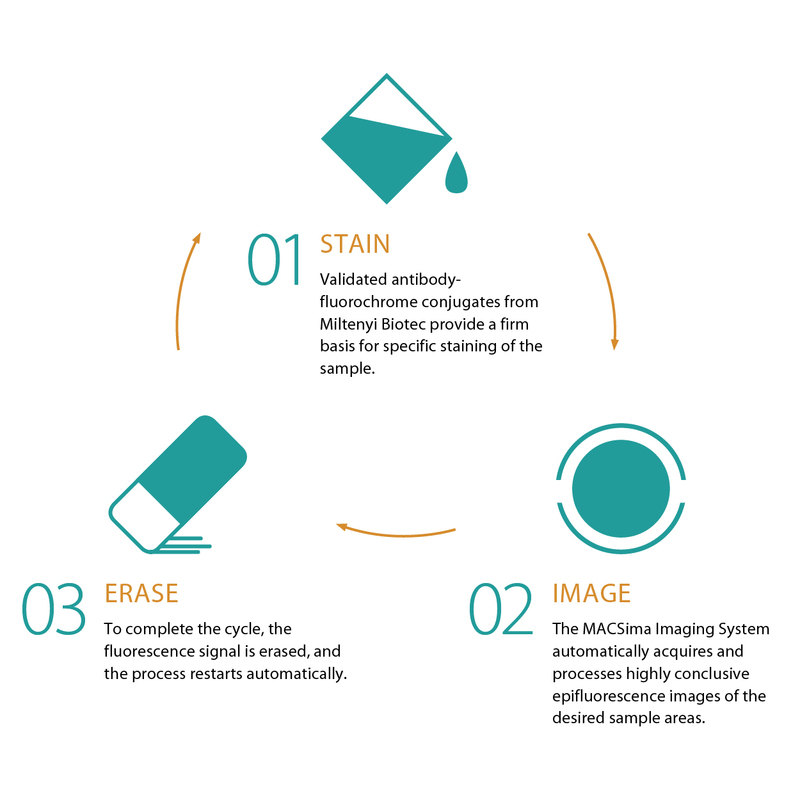 Miltenyi Biotec’s MICS (multiparameter imaging cell screen) technology enables the simultaneous analysis of hundreds of markers on a single sample based on fluorescence microscopy. It uses the principle of iterative staining with different fluorochrome-conjugated antibodies to acquire microscopy data for a multitude of parameters without harming the sample. The iterative process comprises three main steps that are conducted by the MACSima™ Imaging System in a fully automated manner.